So, reasons for this? The first set of reasons is practicality. The IWB is, shall we say, a mature Smartboard, and perhaps a little less smooth to use than it once was. It’s also a lovely room well lit by that traditional enemy of digital projectors, natural sunlight, meaning that the display was hard to read without shutting all the blinds.this was even less attractive because it was a glorious sunny April day. The layout of the room is generally such that the board is significantly distant from even the students at the front of the room, with a large, heavy “teacher” desk in front of it, making it a small but significant distance for me to move back and forth from the display and for students to see the board clearly. The second is more about temperament. I still, as I’ve noted before, default to whiteboard as writing surface, be it interactive or non-interactive. I like the extended features of the IWB, for example being able to display and work with a text or handout, highlighting, completing and so on, but essentially it’s just a regular whiteboard with knobs on. I also don’t particularly get on with the software, Promethean’s exceptional exercise in counter-intuitive program called “ActivInspire” (Inspire! Actively! Yeah!). The third issue was the nature of the lesson. We were focussing on present perfect for experiences, based on a couple of sentences from a text we had read the day before. It was very much about emergent language, as I had the learners suggesting the contexts and the experiences they would like to discuss. In this kind of lesson, the IWB system has to be damn good, because you can’t rely on masses of pre-prepared stuff, and the language grows and develops in the classroom and is recorded on the board. A pen and a writing surface is still the best method of recording this kind of “of the moment” thought process: how much success, for example, have you ever had with digital mind mapping systems? 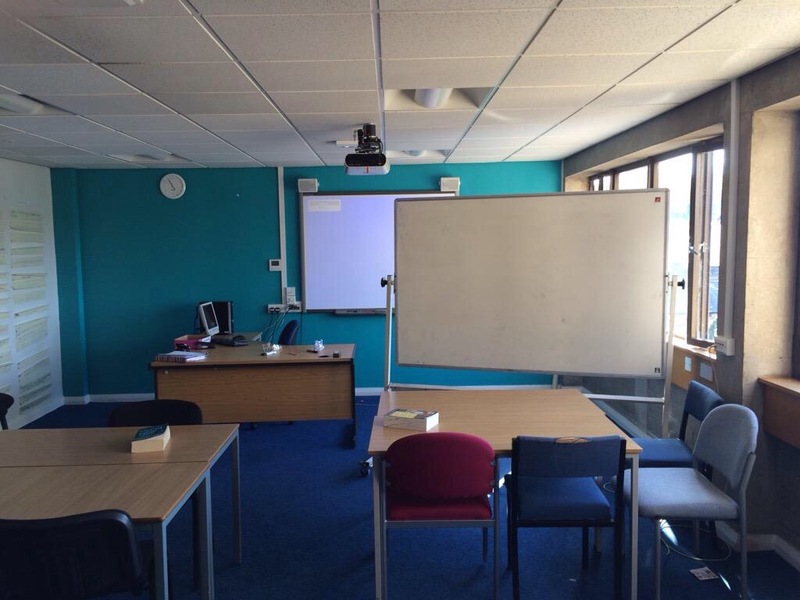 For technology and indeed any type of classroom practice, the best anyone can ever say is that it worked for that lesson and that lesson alone: in this setting, for a number of reasons, the regular whiteboard was simply the better of the two options. Tech is sometimes great and, as you’ve mentioned, it depends on what the focus is in lesson. I use technology to show videos, use listening but I normally switch the projector off if I want to focus on discussion activities and role plays. It’s nice to have a choice but the traditional whiteboard is a must and something I can’t live without.